The TITLE WHITE equipment line is an elaborate equipment series that takes you to the edge with precision "king cut" double-ply full grain leathers, brilliant and luxurious patent leathers and extra deep pile suede leathers that complement each other in a rich compilation of premier quality, clout and exclusive membership. 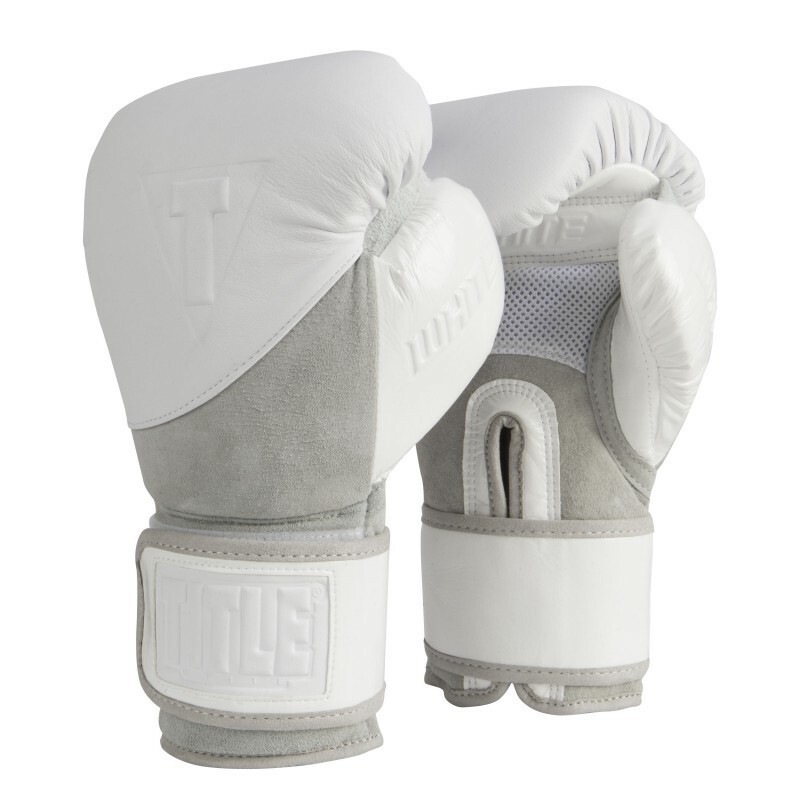 These exclusive training and sparring gloves are crafted with a technical assemblage of almost 2" of hi-impact contact foam and lo-impact fist protecting foam sandwiched around a shock absorbing mid-layer for unbelievable power and impeccable performance. A heavy-duty nylon mesh upper palm inset allows air release during intense workouts. In addition, a custom sheath of moisture wicking performance textile composition in the inside hand liner extends members a cool, fresh and nearly dry workout with no hassles. A strategically angled full wraparound wrist strap with hook-and-loop attachment offers incredible wrist support and stability, in addition to a firm and secure attachment during intense training and sparring.